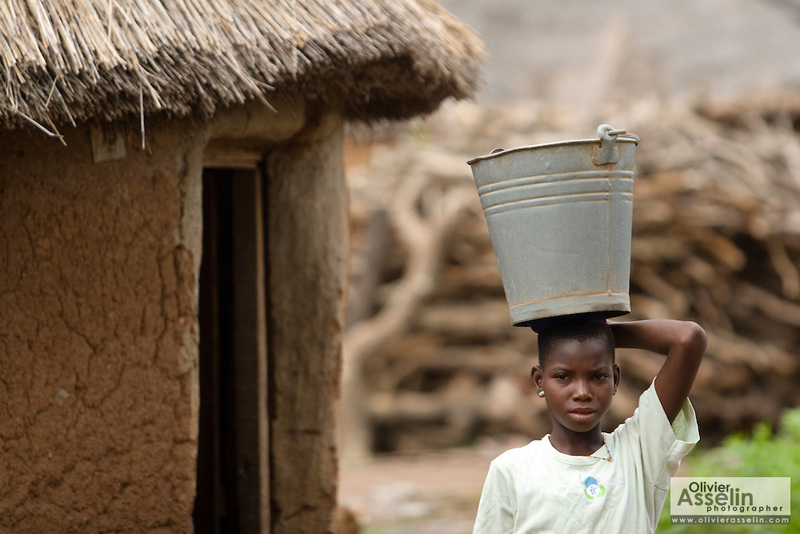 Mariam Alhassan, 11, carries an empty bucket on her head as she prepares to head out to fetch water with other girls after coming home from school in the village of Ying, in the Savelugu-Nanton district, northern Ghana on Monday June 4, 2007. "I saw some other children go to school," she recalls, "but my father said we had no money for me to go. I cried and he agreed to send me." Before heading to school, Mariam I helps her mother at home by sweeping the floor, cooking, fetching water and firewood.When her father died a few years back, her older brother promised to keep her at school..